Medal design captures the Holmes mystique. SHERLOCK Holmes, one of the world’s most famous fictional characters, is the subject of an imaginative new medal marking the centennial of his literary birth. The medal was designed by the noted medallic artist, Marika Somogyi, and is being offered in gold and silver. Holmes made his debut in 1887, when a London journal called Beeton’s Christmas Annual published ”A Study in Scarlet.” That was the first of 56 short stories by Sir Arthur Conan Doyle featuring the masterful British detective. Doyle also wrote four novels built around Holmes. 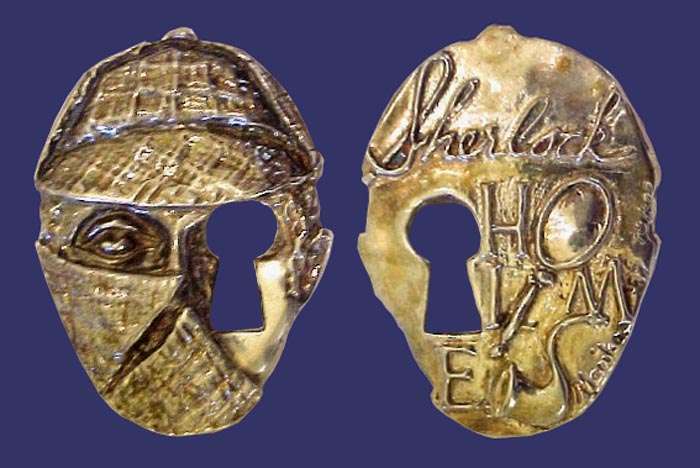 Miss Somogyi’s intriguing new medal is shaped in the form of Holmes’s head. He is wearing his familiar deerstalker hat and an upturned collar is over the lower portion of his face. Adding an appropriate sense of mystery, a keyhole pierces the metal near his left eye. On the reverse, ”Sherlock” is inscribed in script and ”Holmes” is spelled out in a series of sometimes cluelike capital letters. The ”O,” for example, is formed by the end of a magnifying glass and the ”S” by the detective’s curved pipe. Miss Somogyi is a Hungarian-born medalist who escaped from her homeland in 1956 and now resides in Berkeley, Calif. She has earned growing recognition for her sensitive and often sensuous works of medallic art. The Sherlock Holmes medal measures 2 1/8 by 1 5/8 inches. It is being cast in 14-karat (.5883-fine) gold and sterling silver. The gold version weighs about 2.5 troy ounces and the silver piece about 2 troy ounces. Each is signed by the artist and serially numbered. Mintage limits are 35 in gold and 300 in silver. Prices are $995 for the gold and $99.50 for the silver. At the purchaser’s option, the medal can be produced with a loop to permit its use as a pendant or watch fob. The gold version’s price is subject to change with the market price of gold. 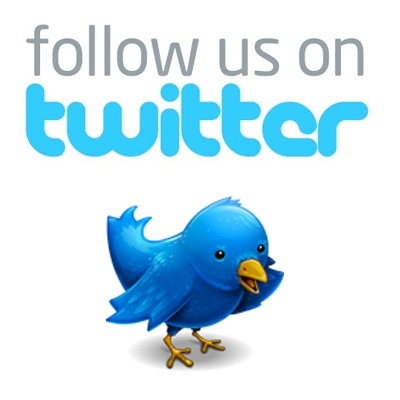 Send orders and inquiries to Numismarketing Associates, 5189 Jeffdale Avenue, Woodland Hills, Calif. 91364. Purchasers should allow 60 days for delivery, since each medal is individually cast, hand-finished and antiqued. This story was originally published in the December 27, 1987 editon of The New York Times and is reprinted here with permission by the author. 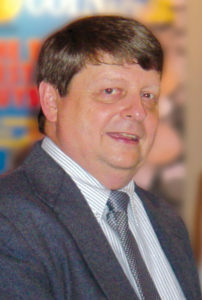 The late Ed Reiter was the Numismatics Editor for The New York Times for 10 years. 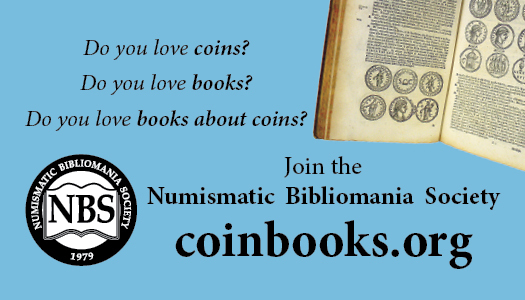 In addition, he served as Senior Editor of COINage for 32 years and was the Executive Director of the Numismatic Literary Guild (NLG) for 27 years at the time of his death. On a personal note, your editor met Ed while he was teaching the Numismatic Writing and Research class at the American Numismatic Association Summer Seminar in Colorado Springs in 1983 and was pleased that Reiter sponsored his subsequent membership application for the NLG. That’s a wonderful medal. Cheers and Merry Christmas.